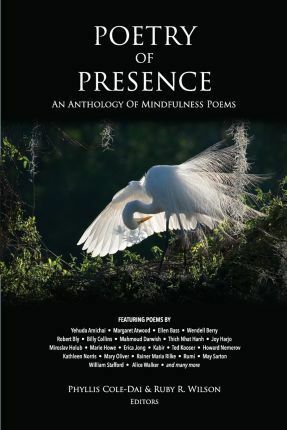 Poetry of Presence: An Anthology of Mindfulness Poems is a collection of poetry that provides a refuge of quiet clarity very much needed in today's restless, chaotic world. Every reader will find favorites to share and to return to, again and again. The diverse group of contributing poets includes contemporary favorites such as Wendell Berry, Joy Harjo, Jane Hirshfield, Li-Young Lee, Naomi Shihab Nye, and Derek Walcott, as well as poets of the past such as Hafiz, Pablo Neruda, Li Po, and Rumi. Readers of the poems in this book will begin to find themselves becoming less stressed, more balanced, and more fully present in the world.